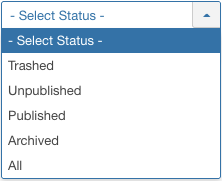 Select Menus → [All Menu Items] from the drop-down menu on the back-end of your Joomla! installation. Or you can navigate to the Control Panel and click on the Menu(s) icon. Select Menu. 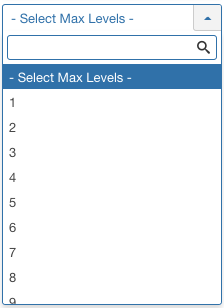 A field to select the menu you want to search. Search. 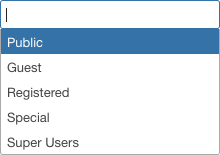 Enter part of the menu's name and press the Search to find matching names. Press x or Clear to clear the search field and restore the list of menus. The Batch Process allows a change in settings for a group of selected items. To use: click on the Batch button found on top of the table of items being viewed to activate the drop down field area. <Item Type> refers to the page name of items. You can change one value or all three values at one time. Note - if you copy items to a new category, changes you have selected from access level and language will be applied to the copies, not the original.